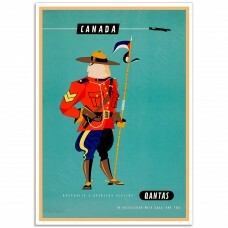 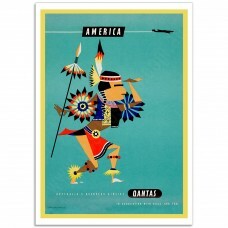 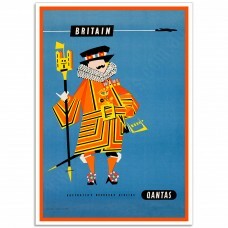 Vintage Airline Posters remind us of another time. 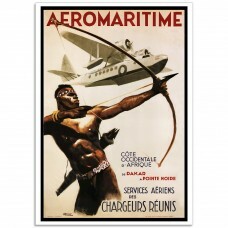 A time when travelling by air was thrilling, chic and new. 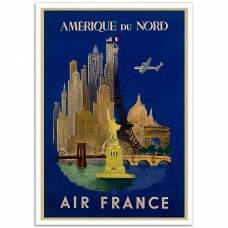 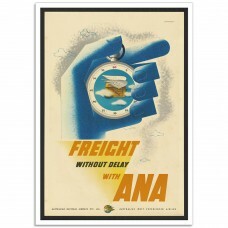 Airlines frequently commissioned prominent artists of the time to produce their advertising posters and many today still remain as true works of art. 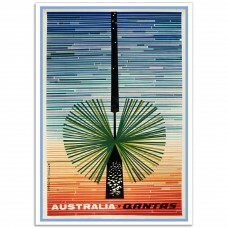 Spectacular graphic images depicting destinations that once could only be reached by long sea voyages were now hours or days away. 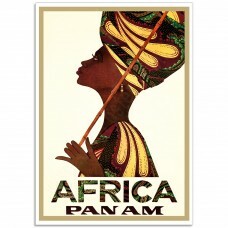 Africa, Pan American Airline Poster, 1967.A magnificent Travel Poster with an image of a woman dress..
America via Australia's Overseas Airline - Vintage Airline Poster"Australia's Overseas Airline"This ..
Amerique Du Nord, Air France - Vintage French Airline Poster.Air France - Amerique du Nord. 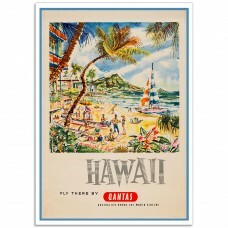 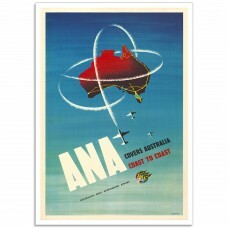 1948.Amé..
ANA Covers Australia - Vintage Australian Airline PosterANA Covers Australia - Australian Airline Po..
ANA Freight - Vintage Australian Airline PosterANA, Freight Without Delay.The Poster was created by ..
Australian Grass Tree - Vintage Australian Airline PosterAdvertising poster for Qantas - 1972Created..
Hawaii, Fly There - Vintage Australian Airline Poster'Hawaii. 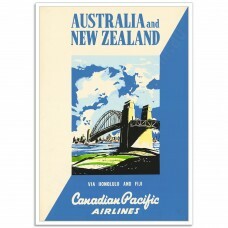 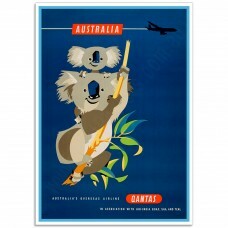 Fly, There by Australia's round-the-wo..
Britain via Australia's Overseas Airline - Vintage Airline Poster"Australia's Overseas Airline"This ..
Canada via Australia's Overseas Airline - Vintage Airline PosterCanada via Australia's Overseas Airl..